Last week, it was time again for the annual BNP Paribas Fortis Film Days. For four days, you can go the movies at half price, at several theatres throughout Belgium. The perfect moment to take the kids to watch a movie on the big screen again. And so we checked the choices we had for Wednesday afternoon. Our attention was caught immediately by Bigfoot Junior. I watched the trailer and thought right away that that is a movie the boys will like. 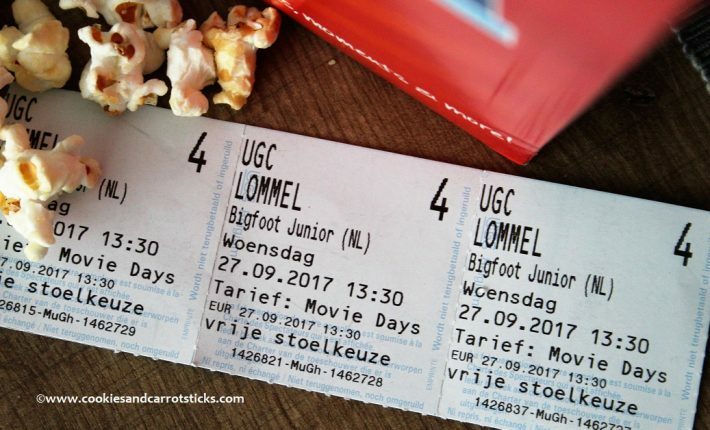 Strange we had never heard about Bigfoot Junior before, as it already played at the theatres since the 2nd of August. Ordered the tickets online and printed them out. Ready to go. Bigfoot Junior tells the story of 13-year-old Adam, a teenager who had lost his father at a very young age and is getting bullied a lot at school by some nasty boys from his class. Especially because of his long and unruly hair. One day, he finds a little box with a bunch of letters addressed at his mom, the last one just two weeks old. The sender? His father! Angry and disappointed, that his mom had lied to him all those years, he storms off in search of his dad. Adam finds his dad and gets the scare of his life: his dad is Bigfoot. 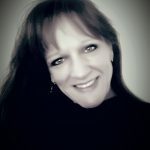 At first, feelings of disbelief, horror and fear take over. But Adam soon realizes that Bigfoot, i.e. his dad, isn’t bad or malicious at all and that he actually inherited quite a few characteristics from his dad. And those are pretty cool. Adam hears the whole story of why his father left and disappeared all those years ago and why he cannot come home. The bad guy, ‘cause there has to be one, wants to conduct genetic research on Adam’s dad in order to develop a hair growth serum. To achieve his goal, the bad guy will stop at nothing. In order to protect his wife and son, Adam’s father disappeared. An exciting battle starts between the good and the bad, interlace with a whole bunch of funny elements. I’m glad I didn’t read any reviews before seeing the movie. All in all, it gets great reviews about the animations, but story-wise it gets a beating. I only learned after the movie, that it’s a Belgian-French production and one of the directors is Ben Stassen, who also made movies like Sammy’s Adventures, Robinson Crusoe and Fly me to the Moon. It gets compared to Dreamland and Pixar productions and the conclusion is that it’s no match, but does it have to be? Ben Stassen is able to create a wonderful movie with just a fifth of the budget. Now I don’t know whether the movie was a complete flop or it was simply because it’s been out already since the 2nd of August, but except one elderly guy, it was just the three of us watching it. Okay, there were 5 movies at the same time, but only about 15 people at the cinema. It was basically empty. So that doesn’t say anything about the movie. We all thought it was a great movie. I actually liked the story. With talking animals, magical powers and all. I think you should not look at it with adult eyes. What do you expect of an animation movie for kids? The characters were not developed in-depth. The story is a bit shallow. So what?? Those are not details our boys look for in a movie. They thought it was exciting, funny and the first thing they said at the end: we want that movie on DVD, so we can watch it as often as we want! Het klinkt inderdaad als een mooi verhaal! We vonden het ook echt heel leuk! 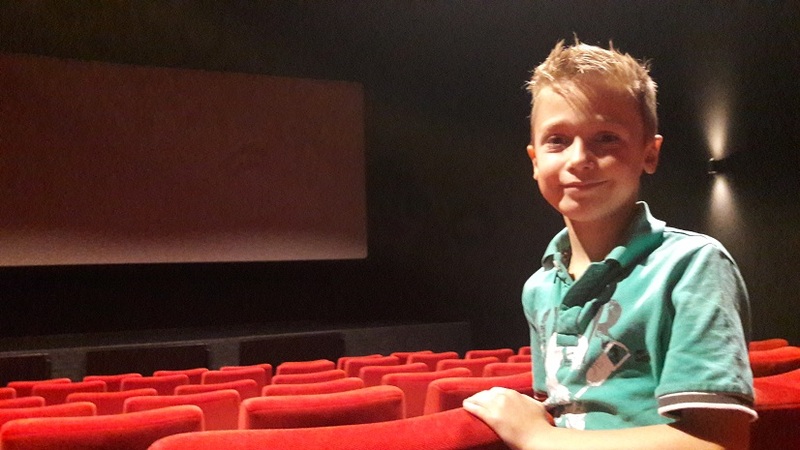 Oh tof zo alleen in de zaal dat hebben wij ook eens gehad toen de film al wat langer draaide! Fantastisch dat jullie met zijn drieën in de zaal aten. Ik snap er af en toe niets van. 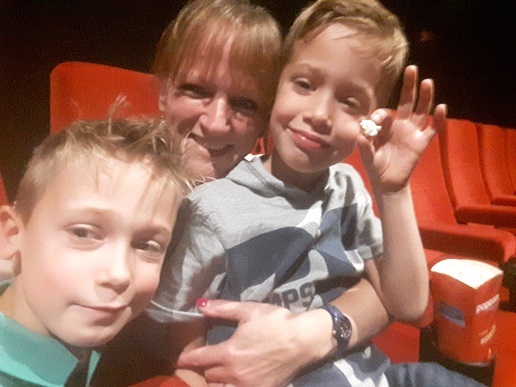 Wij aren gisteren naar de Lego film, die draait net ander halve week. De bios was voor een kwart vol. Super dat je voor de helft van de prijs kan gaan. Ja, was een bijzondere ervaring zo alleen. Maar wel bizar. En net wat je zegt, soms snap je niet dat er zo weinig bezoekers zijn.